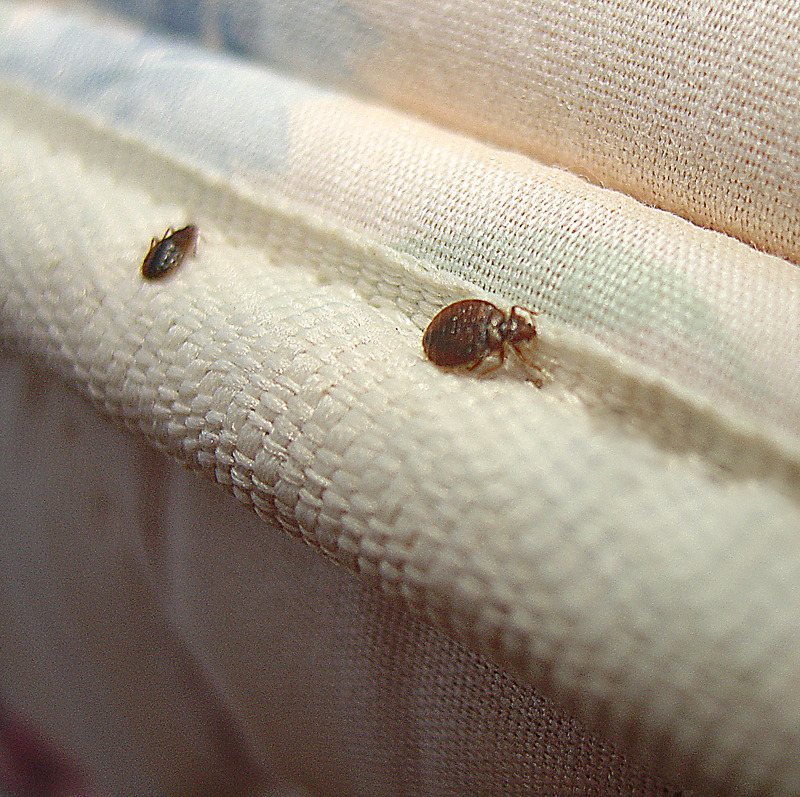 Detecting bed bugs can be difficult, as they are small in size and able to hide in tiny cracks and crevices. However, evidence of a bed bug infestation may be found in bedding and on mattresses. 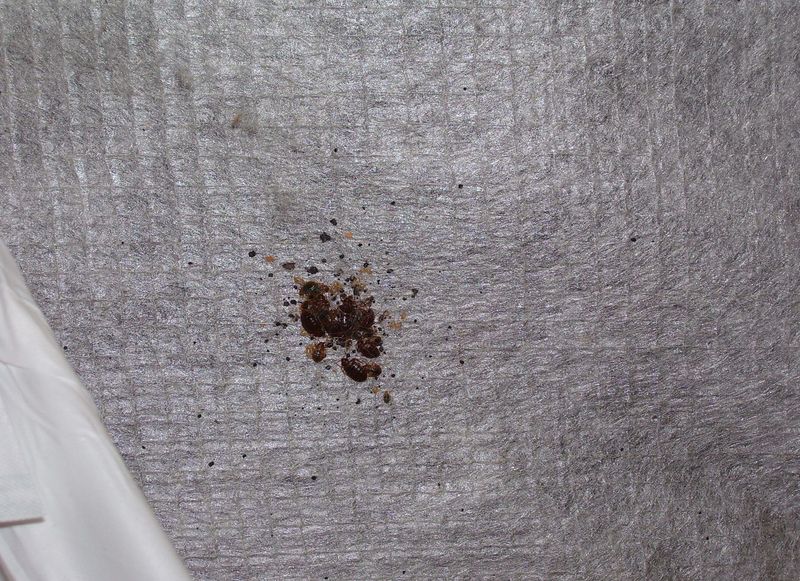 Live bed bugs leave clusters of dark brown or black spots of dried excrement on infested surfaces. Bed bugs also exude a subtle, sweet, musty odor. Bed bugs usually are found close to where people spend much of their time, and since bed bugs have flattened bodies, they like to get into small cracks and crevice near where people sleep. Examples include mattresses, box springs, headboards, footboards, bed frames and other furniture that is within 5-8 feet of the bed. Other common locations are cracks and gaps behind wall outlets, floor molding, window and door molding and where carpet edges meet the wall. Bed bugs have been known to occur in many different locations if their population is large and they have dispersed from their more common areas to areas where they are normally less likely to be found. Bed bugs are easily transported into previously non-infested dwellings. If you have detected a bed bug infestation within your home, contact a pest control professional to discuss treatment options.